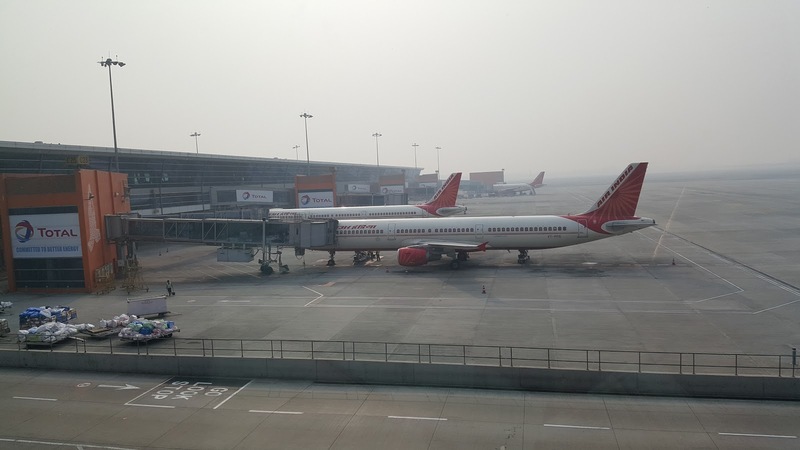 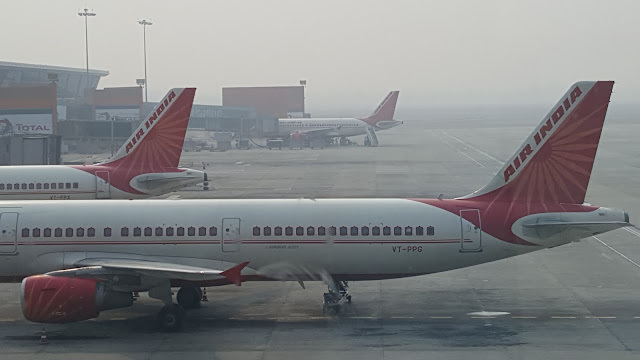 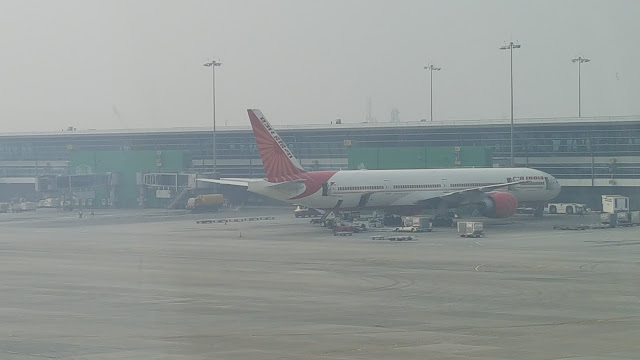 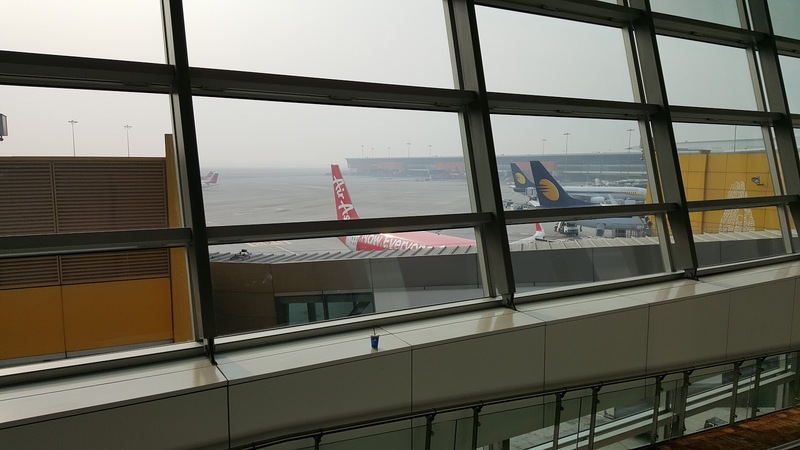 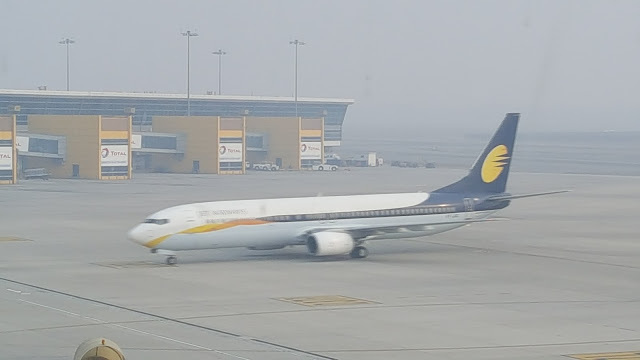 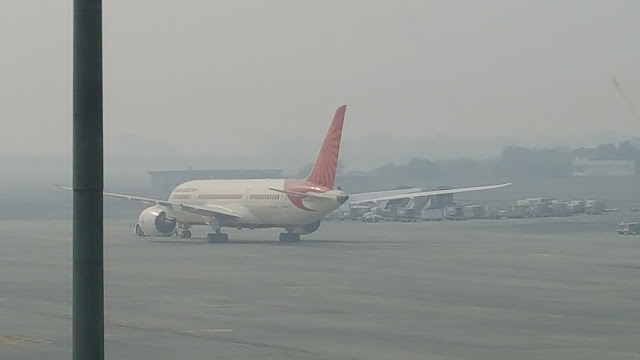 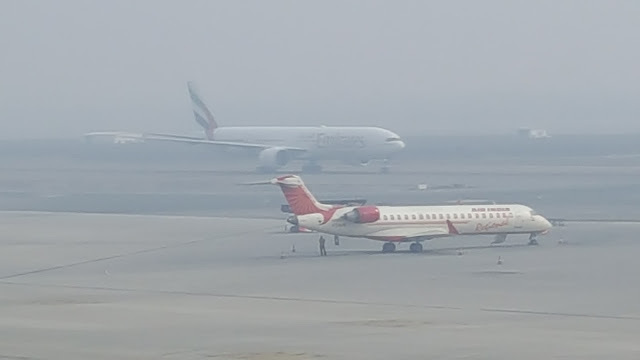 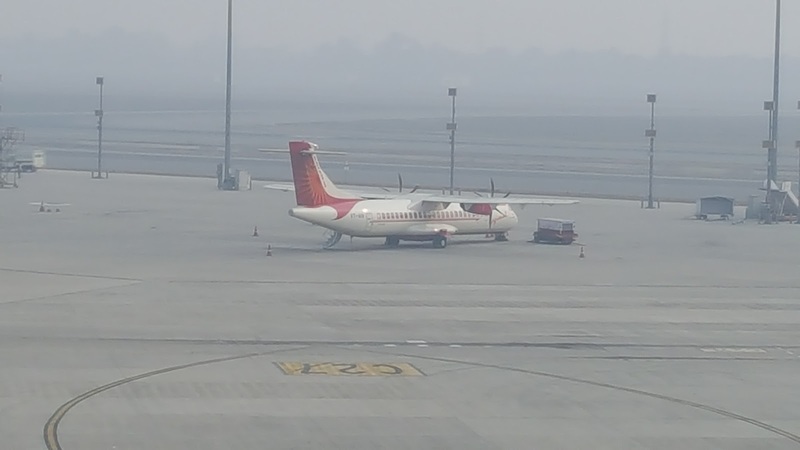 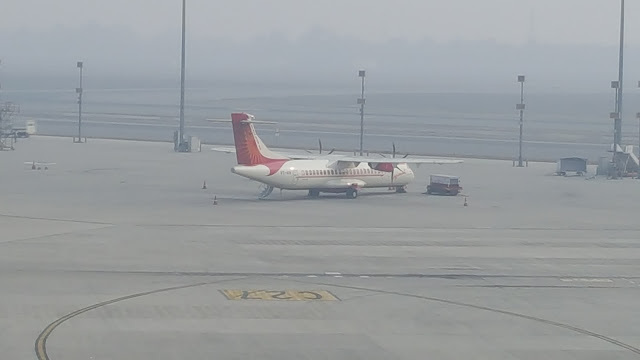 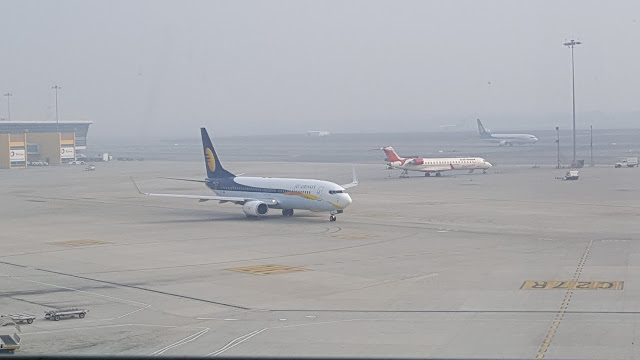 And here I am - Plane Spotting at Delhi International Airport's Terminal 3 after ages. 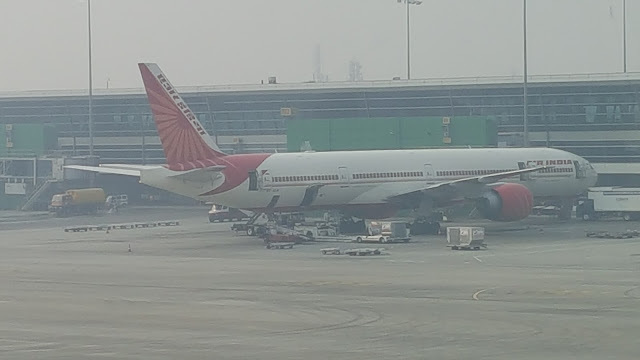 And for a change I am spotting red instead of the Korean blue. 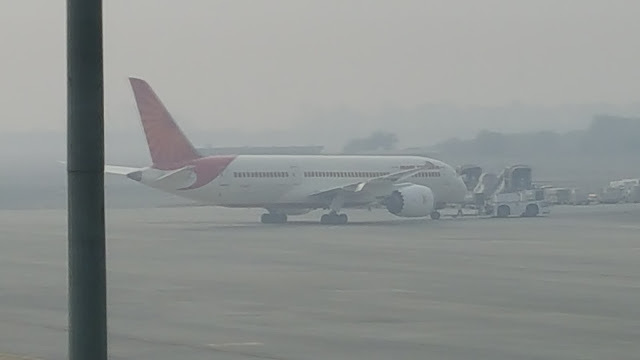 But the winter haze was a bit disappointing! 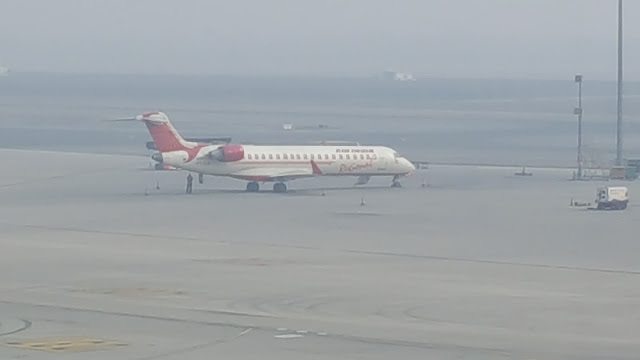 Air-India Regional's CRJ-700 - I quite love this jet!